Bangalore Hackfest – Day 1 – Inspiration is food for every soul! Inspiration is food for every soul! 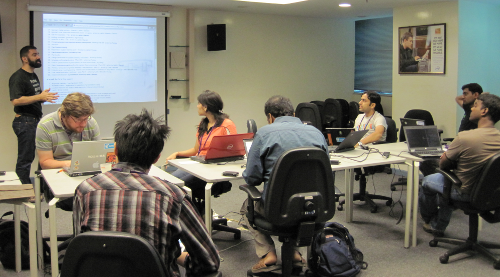 I am finally finding the time to blog about my first day working on GNOME in Bangalore. This is the first GNOME hackfest ever in Asia and the whole GNOME.Asia team is really happy to be part of one of the biggest GNOME hackfest. 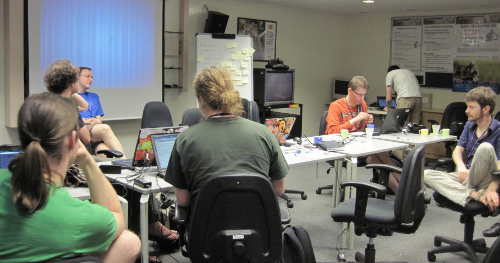 We have 16 hackers today (Monday 28th) and more will be arriving over the coming days. This is really making us wanting to continue on the “hackfest+summit concept” each year as we roam around Asia. My workload today is totally focused on the GNOME.Asia team to finish all the GNOME.Asia Summit 2011 organization tasks and plan for upcoming years. I am however still hoping to find the time to work with Allan(s) and Andreas on marketing GNOME 3.0. 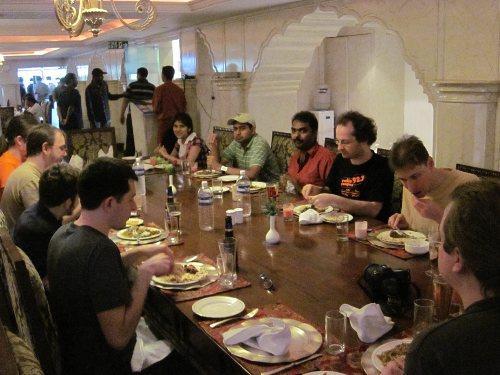 10 hackers made in on Mar 27, Srini brought us to a very delicious Indian Restaurant for lunch. Mar 28, our first hackfest day, starting off with a planning session run by Vincent: everybody shared what had to be done and built work teams. Names were written down and assigned to tasks: performance will be reviewed daily. Our GNOME release and marketing team. 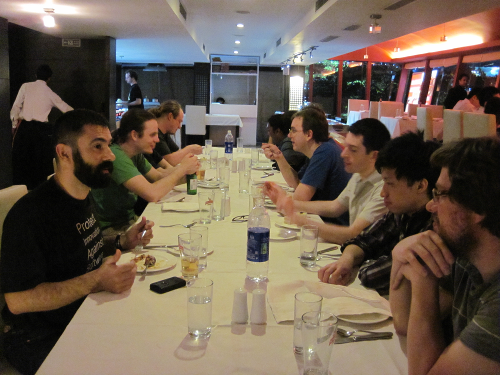 After half a year of weekly IRC meetings, the GNOME.Asia team finally gets to make a face to face. 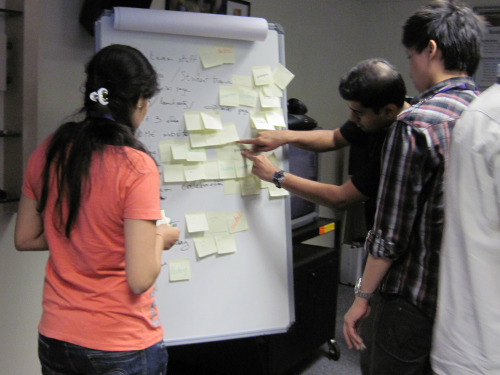 Evaluation time at the end of day in Intel office! I actually finished everything I planned to do for the day and Tueday will be conference site preparation with Bharath, volunteers briefing and final room/auditorium inspection for all the remaining activities (and they are a lot of them!). 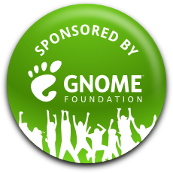 The participating GNOME hackers have been really impressed with the enthusiasm around the GNOME project here in India, the amazing registration count we have achieved (over 1000!) and are all very excited to meet with those passionate people on the upcoming Saturday and Sunday. Ya i checked it, but i need Gnome T-Shirt. So is it available to purchase for a reasonable price even if i register for free type? Thanks guys, Sure gonna see you folks at this weekend. Oh btw, it would be great if the Summit web site shows who are all have registered to attend this event. Would be helpful to contact them in case we didnt know they are making it up. …and today is Software Freedom Day! Celebrate your SFD event this Saturday! Register now! Happy Hardware Freedom Day 2017!